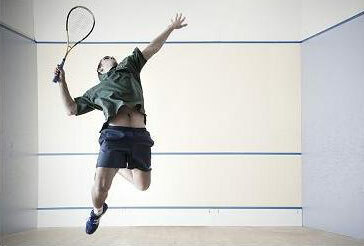 PWSRC is an active, friendly squash and racketball club in the heart of Kent. Located in Tonbridge, we have four courts, excellent changing facilities and a recently refurbished bar and restaurant. The club is active in both the squash and racketball leagues of North West Kent and has a thriving junior section. The club is affiliated to England Squash, currently with Silver Clubmark status. We have a minimum three courts to ensure enough court time for two-game matches, alongside drills or 3/4 court training on one of the courts. Court 2 will run from 19.00 for 2 hours for those who like to start a little earlier and courts 3 & 4 will run from 19.30 for 2 hours. There is no charge for the court lights. The club night has always been about getting together, meeting different members, across different levels and disciplines to have a social evening playing squash or racketball. Prospective members are very welcome to come along (no need to book or advise us) and join in. We offer coaching and fun games for beginners and experienced players aged 7 and upwards. This takes place on a Saturday morning in 55 minute sessions with licensed squash coaches. We have 36 juniors, many of whom are beginners and are very keen to receive enquiries from new players. Please see the “Juniors” tab for more information.